Radiation Oncology comprises of 2 major types. Onco-Life Cancer Centre houses Elekta Synergy which is one of the latest & highly advanced radiation machine. Our linear accelerator is compatible with almost all treatment modalities & presently is one of the most advanced radiation machine available to the world market. They have over 99% accuracy by only targeting the cancer affected area & avoiding exposure to surrounding healthy tissues. More than 80% cancer patients have to undergo radiation therapy treatment. This treatment is highly effective with minimal side effects. Treatment modalities available in our radiation machine are conventional, three dimensional conformal radiation therapy (3D-CRT), stereotactic radiosurgery (SRS), stereotactic body radiation therapy (SBRT), intensity modulated Radiation therapy (IMRT), image guided radiation Therapy (IGRT), volumetric modulated arc therapy (VMAT), electron therapy, deep inspiration breathe hold, total body irradiation & total skin electron therapy (TSET). 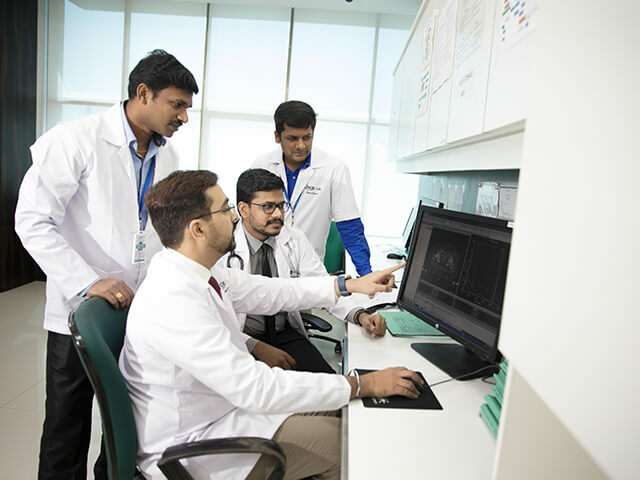 Extremely trained & handful radiation oncologists in Pune, Mumbai & other major cities are privileged enough to be operating on such highly advanced linear accelerators. Our team of radiation oncologists, technicians & physicists are trained & experienced from various major hospitals in Pune, Mumbai & Kerala. Cancer treatment is multidisciplinary. 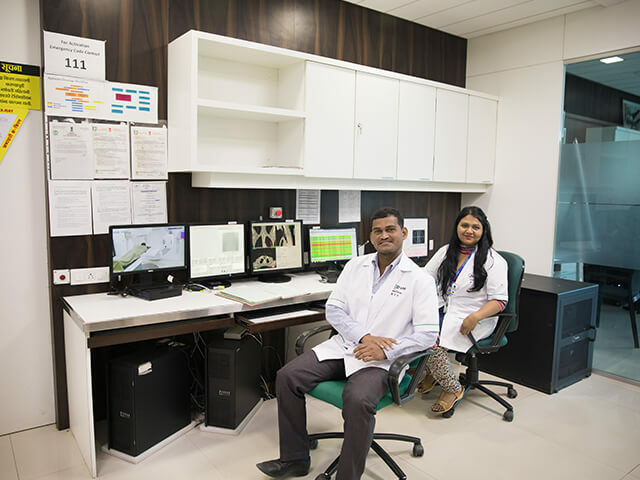 This department of Oncology is composed of a team of MCI- certified and Board-Certified Medical Oncologist Radiation Oncologist, Pathologists, Medical physicists, licensed Radiation therapists, Registered Nurses, Medical social workers, Dietician and Specially trained support personnel who have many years of experience in treating and caring for patients undergoing cancer therapy. 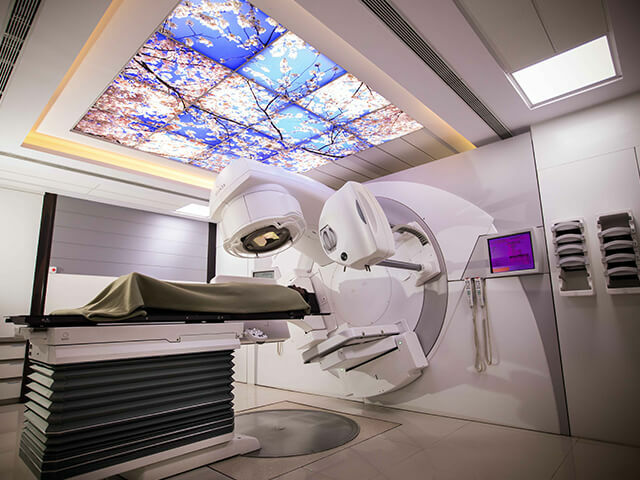 Our linear accelerators and the computer-controlled image guidance systems are fully integrated for a seamless radiation therapy process. The linear accelerators operate in multiple modes, delivering both photon and electron radiation at different energy levels, so the radiation oncologists can choose the most appropriate energy and depth of treatment for each individual case. We have Varian GAMMAMEDPLUS IX 24 channel Brachytherapy which is one of the advanced technologies in the current world market. Internal radiation is also called brachytherapy. A radioactive implant is put inside the body in or near the tumour. Getting the implant placed is usually a painless procedure. Depending on your type of cancer and treatment plan, you might get a temporary or a permanent implant. Internal radiation therapy (brachytherapy) allows a higher dose of radiation in a smaller area than might be possible with external radiation treatment. It uses a radiation source that’s usually sealed in a small holder called an implant. Different types of implants may be called pellets, seeds, ribbons, wires, needles, capsules, balloons, or tubes. No matter which type of implant is used, it is placed in your body, very close to or inside the tumour. This way the radiation harms as few normal cells as possible. Brachytherapy is used to treat several types of cancer. Brachytherapy can be used alone or in conjunction with other cancer treatments. For instance, brachytherapy is sometimes used after surgery to destroy any cancer cells that may remain. Brachytherapy can also be used along with external beam radiation. 3-D Conformal radiation therapy, delivers a high radiation dose to tumours but safeguards healthy tissue. Intensity modulated radiation therapy (IMRT), is a revolutionary new modality in which radiation beams are shaped by 160 collimator leaves (Fingers) that wrap the radiation dose around a tumour, thus sparing healthy tissue. Image-guided radiotherapy (IGRT), involves using a variety of digital imaging techniques to pinpoint the exact location of a targeted tumour while the patient is in the treatment position and just prior to delivering the treatment. Volumetric Arc Therapy (VMAT): Technology which gives dose distribution similar to IMRT but delivers treatment in shorter duration. Stereo-tactic Body Radiotherapy (SBRT): for Lung tumours, Total Body irradiation, for the treatment of patients with leukaemia and lymphoma in preparation for bone marrow and stem cell transplantation. Stereotactic Radiotherapy (SRS): combines 3D imaging with multiple, highly-focused x-rays beamed at a tumour from different angles. 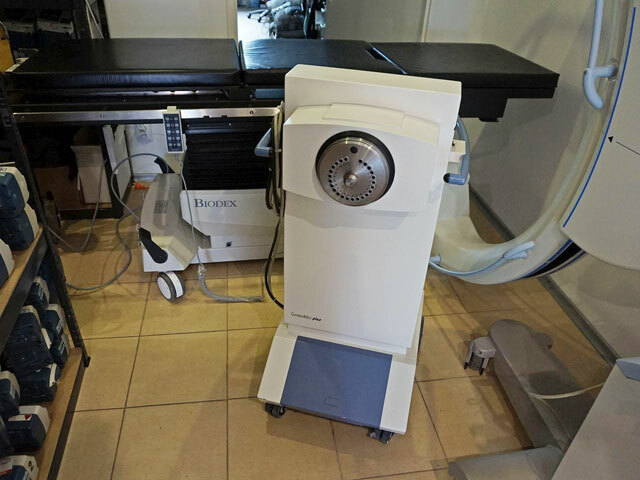 Treatment machines automatically adjust for the motion of your breathing; making sure the beams precisely target a tumour and leave surrounding, healthy tissue untouched. Particularly effective for treating small, well-defined tumours in inoperable or surgically risky locations such as the brain and spine.